Have you ever cracked open an ice-cold (or lukewarm, depending where in China you are) bottle of Snow beer and thought ‘Geez, this sure is an average, uninspiring beverage’? We sure have, which is why we were recently surprised to learn that the Chinese beer brand is actually the world’s most popular sud by sales volume. According to global sales estimates released by GlobalData Consumer and published by Business Insider, Snow sold an estimated 101.2 million hectoliters (1 hectoliter = 100 liters) in 2017 to secure the No.1 spot for worldwide beer sales. Second place goes to ‘the king of beers,’ Budweiser, which sold 49.2 million hectoliters last year – less than half of the volume sold by Snow. Interestingly, Snow is predominantly consumed within the borders of the Middle Kingdom, while Budweiser is available in 73 countries worldwide, according to Forbes. If you combine the 2017 sales volume of both Budweiser and Bud Light, which sold 44.8 million hectoliters, you’ll still come up short of Snow beer. Together Bud and Bud Light sold 94 million hecoliters in 2017, 7.2 million hectoliters less than Snow (henceforth known as the true ‘king of beers’). Admittedly, Snow beer does come in a variety of different styles (which all taste the exact same: watery), and it’s unclear if these were counted separately in the study or all together (our bet is together, which is fair, because as we said: it all tastes the same). 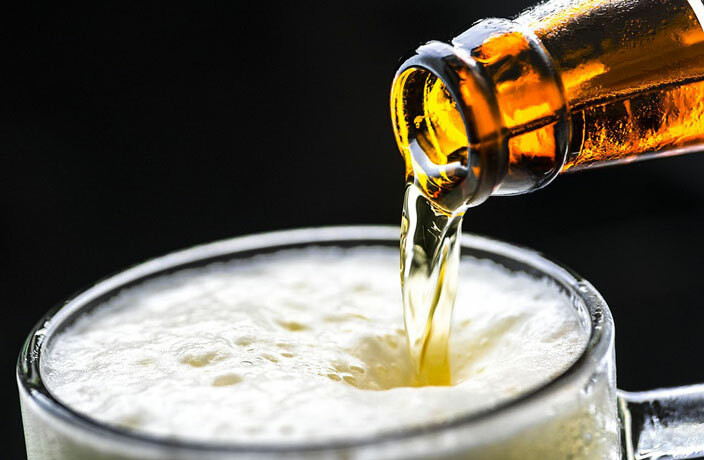 The top 10 list of the world’s most popular beers, which was published in September by Business Insider, also includes other Chinese beers Yanjing (No.8), Harbin (No.7) and Tsingtao (No.3). Just in time for the biggest event of the year, Brandt Premium Lager is on sale over at thMart right now. Many are wondering if the capital will be able to produce enough snow to host the Games. The short answer is (apparently) yes. Stunning larger-than-life snow and ice carvings are now ready for viewing as world's largest annual winter festival begins.